Saying that the capital territory of India, Delhi, has a rich history will be an understatement. In veracity, Delhi is all about history. All the history buffs traveling to India should keep a few days aside for exploring the astonishing forts, palaces, monuments, buildings, and empires built in the ancient times. Check out the comprehensive guide to all historical places in Delhi, for they are a must-visit attraction for every wanderer. 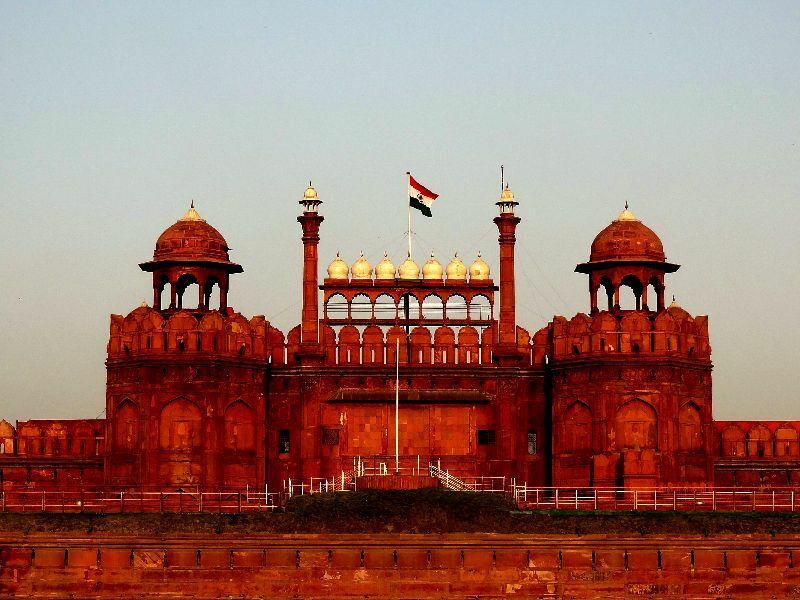 Red Fort, also called ‘Lal Qila’, was built in 1638 by Mughals. ‘The Pride of India’– Red Fort captivates the attention of travelers, owing to its architectural splendor. What’s typical of the fort is its construction, which is done in hu blocks red sandstone. Back then, the 33m high walls of this striking monument were constructed in order to prevent it from invaders. It became extremely famous during the independence of India when Jawaharlal Nehru gave his freedom speech and hoisted the national flag. For travellers, light and sound show held in the morning hours at the fort is a breathtaking experience. It certainly adds stars to the entire experience of this majestic place. Lying on the banks of Yamuna River, this magnificent attraction should be on the list of all visitors in Delhi. Located in Qutb Complex in Mehrauli, South Delhi is the tallest minaret in India – Qutab Minar. 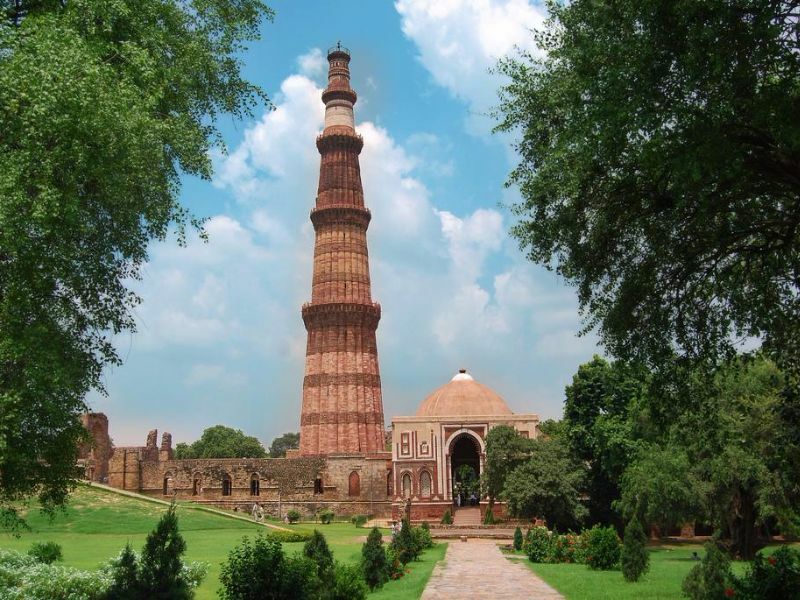 Tapering up to a height of 72.5metres, this tower was constructed by Qutub-ud-din Aibak in 1193. It looks like a masterpiece of Indo-Muslim artwork that was built using red sandstone. This edifice has been taken care of well as it is extremely significant for the Indian history. At the foot of this minaret lies the first ever mosque of India – Quwwat-ul-Islam. 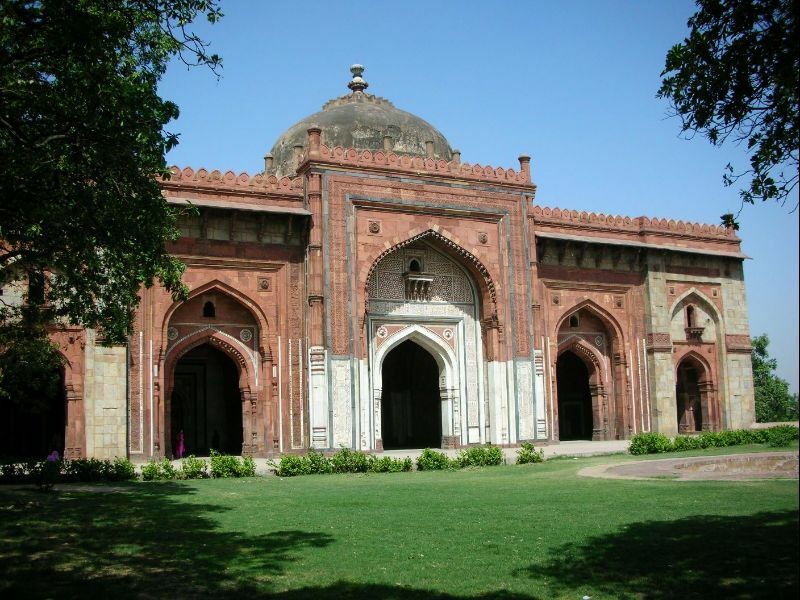 There are many other monuments siding the Qutub complex, which includes Jamali Kamali Mosque, Jahaz Mahal, Quli Khan’s Tomb, and Adham Khan’s Tomb. ‘The Spot of Indian Pride and Sacrifices’ – India Gate is truly a point of bravery that was built in 1931. 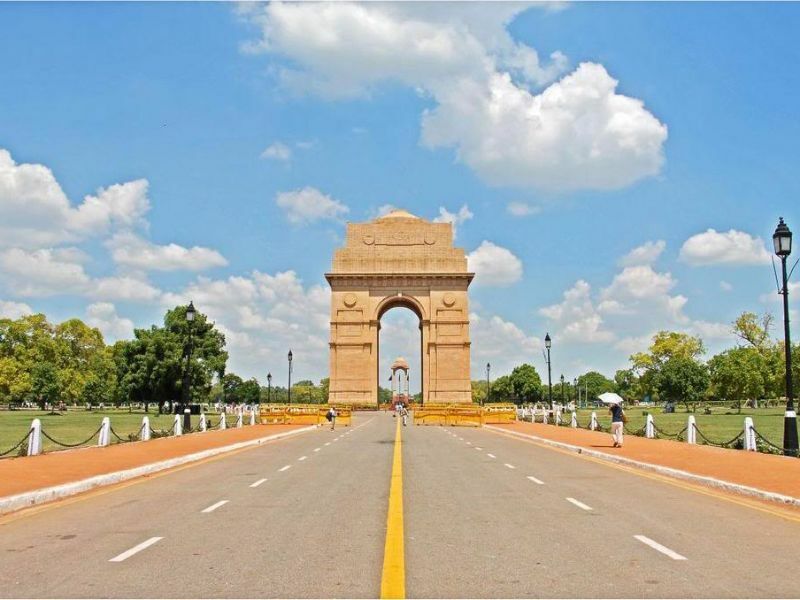 Located on the Rajpath, India Gate was earlier named as “All India War Memorial”. This war memorial raised in honor of over 70,000 Indian soldiers who were killed during the World War 1 looks gorgeous in the evening lights. No wonder, hundreds of local Delhites flock around this spot every evening to enjoy alone time with their partners or have a picnic with their families. This prestigious monument is 42meters high and was designed by Sir Edwin Lutyens. After the Bangladesh Liberation war, a structure, compromising of black marble plinth, with reversed riffled, topped by a war helmet was constructed under the Memorial Archway. This was also circumscribed by four eternal flames called Amar Jawan Jyoti, which has been serving as India’s Tomb of the Unknown Soldier since 1971. Wandering around the site would give you immense pleasure and satisfaction as a visitor. 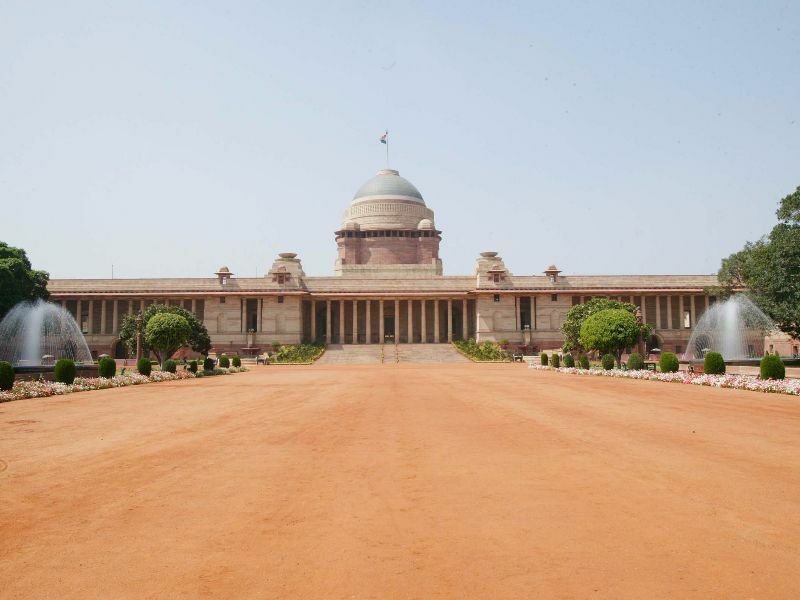 Rashtrapati Bhawan (Presidential House) is one of the prime attractions of Delhi that was designed by Sir Edwin Lutyens. It is a 340-room building that is marked for its stately atmosphere, beautiful corridors, as well as nicely-done lawns. “The Glory Of India”- Rashtrapati Bhawan is the center of power and the official place for the President of India. It was formerly called Viceroy’s House. Constructed with a mix of Indian and European styles, the building was inaugurated in 1931. On both sides of the building are Mughal Gardens which offer a surreal effect to the entire setup. A comprehensive guided tour of the building will include sections like Lutyens’ Gallery, Gift Museum, Durbar Hall, Ashoka Hall, and Children’s Gallery. One of the biggest mosques in Delhi, Jama Masjid (Masjid-i-Jahan Numa) was built by Mughal Emperor Shah Jahan in the 16the century. This 40meter high minaret is built of it’strips of red sandstone and white marble. Its construction began in 1644 and was completed in 1656. This eye-catching mosque has a magnificent interior as well as exteriors. Jama Masjid was constructed by 5,000 workers. It’s an architectural marvel with three huge gates, five-storeys having a protruding balcony, and adjoining edifices with calligraphy done on them. Travelers wouldn’t want to miss a chance to visit the Swaminarayan Akshardham Temple, i.e. the largest Hindu temple in the world. Built on the lines of Akshardham Temple of Gujarat, Akshardham Temple was constructed in 2005. It is spread over an expansive area of 100-acre and it sits on the banks of Yamuna River. 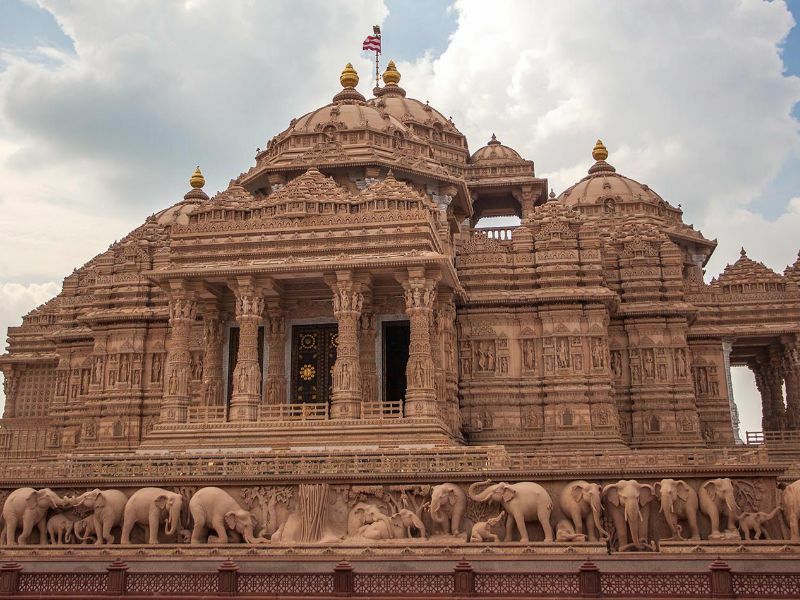 Akshardham stands as the adobe of god, with its prime attractions as an intricately carved monument, musical fountain, high-technology exhibitions, and beautiful gardens. This 43meter high temple has been constructed using Rajasthani pink sandstone and Italian Carrara marble. A number of exhibitions on display take tourists through different journeys like the giant screen film on Discover India, cultural boat ride, and so on. Humayun’s Tomb is one of the landmark sites of Delhi that is the tomb of the Mughal Emperor Humayun. 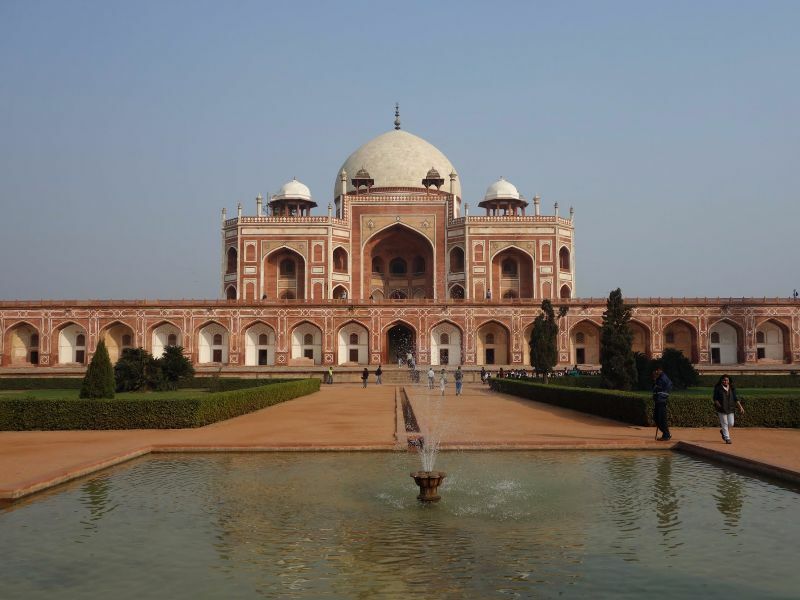 The monument was built in 1570 by Queen Haji Begum, the widow of Humayun. The architecture of the tomb has been inspired from Persia and it bears an uncanny resemblance to the renowned Taj Mahal. Humayun’s Tomb has charming garden squares lined with water channels as well as pathways. 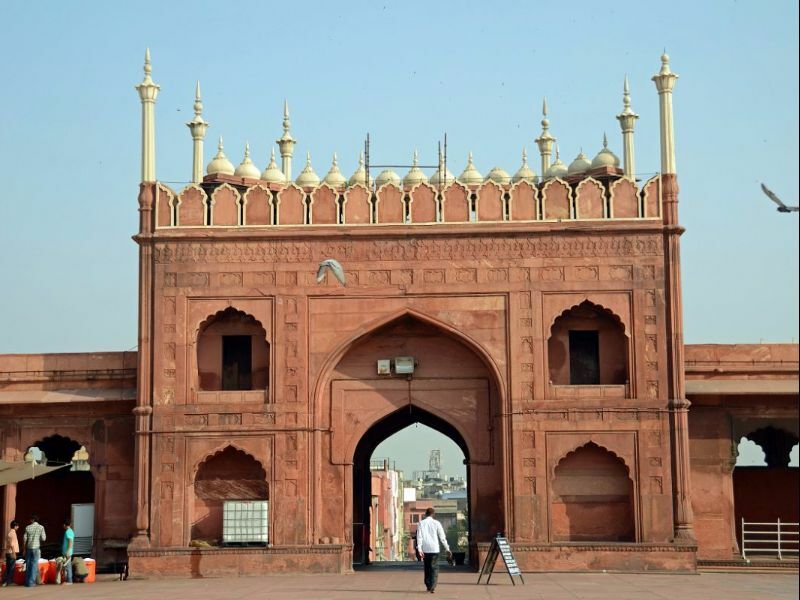 It is the same site from where the last Mughal Emperor Shah Jafar was taken into custody by the British in 1857. Photography: Still photographs free, INR 25 for video filming. A regular weekend stop for locals, Purana Qila is one of the oldest standing monuments of Delhi. Built by Humayun and Sher Shah in the 16th century, this fortified settlement is extremely impressive. With the walls of the fort rising to 18meters, the first glimpse of the fort gives a sight of magnificence. It is extremely popular for its light and sound show that takes place each evening. Set in the heart of Delhi is a modern sculpture garden called Jantar Mantar. This ancient observatory was constructed in 1794 by Maharaja Jaisingh of Udaipur. 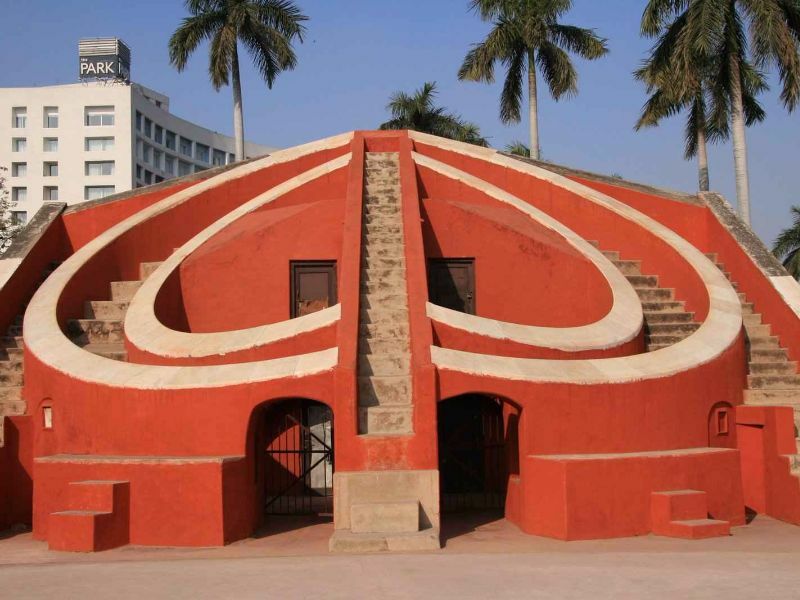 A charming atmospheric place with picturesque vistas, Jantar Mantar was built with a primary aim to predict the time and movements of sun and moon. This lovely structure has always attracted a lot of visitors from across the world because of its accuracy in astronomical movements. Built of brick rubble, visitors can see instruments such as Samrat Yantra, Ram Yantra, Misra Yantra, Jai Prakash, and Niyati Chakra inside the monument; all of them being used for astronomical calculations. More than that, it is a beautiful site for sightseeing, especially for those who love the quietness and laidback environment. Tughlaqabad Fort is a ruined fort, perched on a rocky hill and is made of rough stones set in mortar. 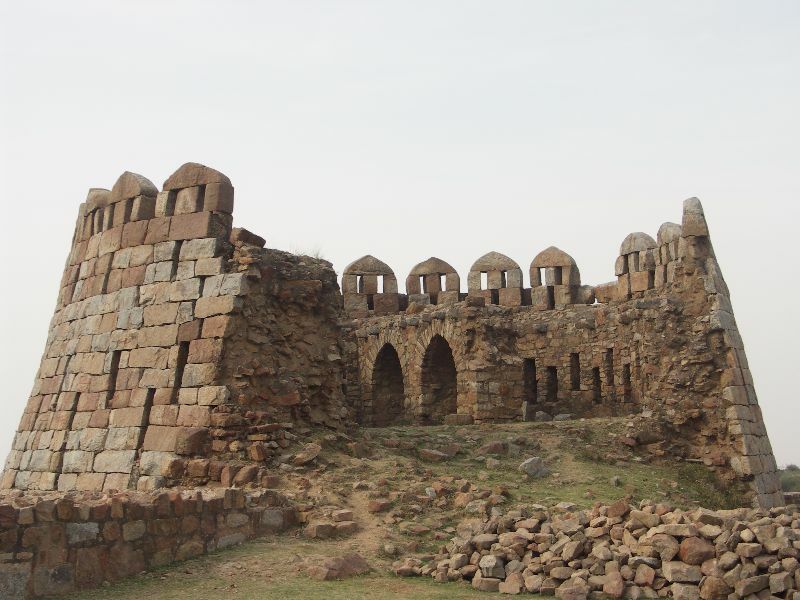 It was built by Ghiyas-ud-din Tughlaq (founder of Tughlaq Dynasty) in 1321on a stretch of over 6kms. The mighty fort stands as a symbol of the Tughlaq dynasty and is a complete architectural marvel. The crumbling ruins of this fort give an impression of the lost splendor. While retaining its historical roots, Delhi has not been far behind in setting itself as one of the most contemporary cities of the world. These long preserved heritage sites clearly give Delhi it’s much-needed tourism boost, besides maintaining the flavor of magic and mystery associated with its history. These must be explored in order to unravel the mystery associated with each site. How many historical sites of Delhi have you been to? Which was your favorite amongst them all? Do you share your experiences? We would love to hear. Love Delhi? You should read all our articles on Delhi. Delhi, the capital of India. I have heard alot about this city. Look at those places you have mentioned. fascinating! Can’t believe only 1 city of India has these many great places then what the entire would be having in it! Excited! traveling to india in August. Cheers! Beautiful list! Its reminding me of my several trips to Delhi! I’ve been to all of these places except Tuqlaqabad Fort. I’d also add Hauz Khas deer park to this list. Its a breath of fresh air and provides to the green lungs of the city in the midst of heritage! What an amazing list of monuments and building. They are all fantastic in their own right although I do love the look of the Red Fort and Humayun’s Tomb. Perhaps one day I will get the opportunity to visit. That’s a great overview, which is definitely useful for somebody like me who is not familiar with Delhi or its history!